Brendan Higgins in CBS11 photo & Aspen police dept. mug shot. CBS11 early morning co-anchor Brendan Higgins issued a statement late Tuesday afternoon about his arrest earlier this month by the Aspen police department. He plans to have no further comment on the matter, Higgins said. It was expansive compared to CBS11’s official response early Tuesday evening. “Brendan Higgins is no longer with the station,” CBS11 director of communications Lori Conrad said in an email reply. “If my email is any indication, many of you are wondering about a recent incident in Aspen, Colo., that resulted in my arrest. Sorry it took so long to issue a post as I’ve been dealing with the related matters. As first reported Friday on unclebarky.com, Higgins, 46, was arrested shortly after midnight on Aug. 6th and eventually charged with disorderly conduct and resisting arrest. A representative of CBS11 at the time said the station was looking into the matter and would have no further comment until learning more about the incident. While the snark settled, we waited for official word from CBS11. It only seemed fair. Because to Higgins, this is certainly no joking matter. Higgins began co-anchoring CBS11’s early morning newscasts with fellow newcomer Adrienne Bankert on June 25, 2012. 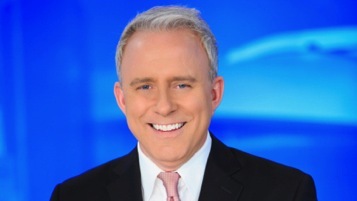 He previously had been NBC5’s early morning co-anchor from December 2003 to January 2010, when Higgins and the station parted ways over what they said was a contract impasse. There’s no word yet on who will replace Higgins. CBS11’s Jason Allen has been filling in so far this week. CBS11’s early morning newscasts currently rank fourth in the D-FW Nielsen ratings, behind Fox4, NBC5 and WFAA8 in that order.